“Although my memory’s fading, I remember two things very clearly: I am a great sinner and Christ is a great Savior.”...John Newton, former slave trade captain, author of “Amazing Grace”. Caused a message of love and peace to be spread throughout the world. Inspired some of the greatest art produced. Was the catalyst for the invention of the printing press and subsequent spread of knowledge. Inspired and motivated the early settlers of the US. Inspired and motivated the founding fathers of the US. Was the catalyst for removal of slavery in the western world. Inspired and motivated the US and western nations to repel the fascism and tyranny in WWII. Inspired and motivated the US and western nations to overcome Soviet communism. The figure was not Santa Claus. It was Jesus Christ, saviour of the world. 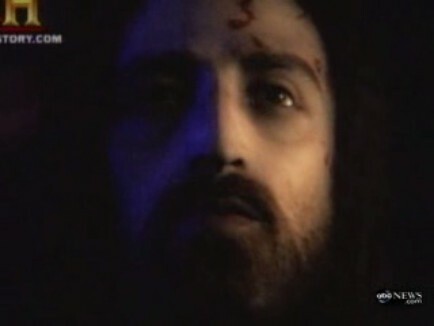 Image derived from data embedded in the Shroud of Turin. In pondering what to write for Christmas Day my thoughts were dispersed, distracted and delayed. But that often happens. I believe that in many ways we have become distracted and have missed the point. In recent discussions with a wise lady, who happens to be Roman Catholic, we both shared observations about the human side of Barack Obama, what has formed his thought processes and the fact that he is a prisoner to his influences. This does not apply only to Obama but to many on the left, to many people who believe that the problem with gun attacks is guns. Many of these people have no grounding in religion, a moral compass and right from wrong. They are driven by knee jerk feelings and political ideologies. I have become less of a fan of organized religion and more a proponent of what Christ actually said and did. I am not against organized religion but I believe that we have lost our way with it and have let too many layers of interpretation and discussion and intermediaries come between us and the essence of Christ’s simple message. The impact we have on others combined with the “smallness” of the world is powerful. Each life touches the lives of others and can ultimately be world changing. A good Christmas example of this is the movie “It’s a Wonderful Life”, one of my favorites. Another example of how small the world is, “6 degrees of separation” and one person changing the lives of others is this. One of my friends knew Tolkien and CS Lewis. Small world. But the bigger story is the impact of the life of Tolkien on CS Lewis and the world. From The Blaze December 12, 2012. “In “The Christian World of the Hobbit,” a new literary analysis of the popular writer, author Devin Brownexamines the intense religious nature of Tolkien’s written works. In a recent interview with CBN.com, Brown provided some fascinating tidbits of information. Among them, a fact that many Tolkien fans might not be aware of: “The Hobbit” author was responsible for bringing C.S. Lewis to the Christian faith. What the nonbelievers fail to realize and we fail to present is not only the message of love, peace and tranquility of Jesus Christ but the impact on the Earth that he had. Here are some simple, self evident, truths for all to ponder. Jesus was born in the Middle East of medium skin color, right in the middle, not black, not white. Christianity transformed the Roman Empire. Christianity was a dominant force in stopping Nazi Germany. There is clearly good and evil in this world. By March 26, 2010 I referred to Obamacare as a tax and control bill. From the Greensboro News Record November 25, 2012. “Wake Forest Baptist Medical Center launched a distress signal in a gathering storm when it said on Nov. 14 that it will cut 950 jobs. That storm has at its center national health care reform, possible lower reimbursements for Medicare and Medicaid services, and an increasing number of older patients who need more care. The hospital industry is in for a direct hit — that’s not in doubt. But mass layoffs may be only one of many solutions for the health care industry’s problems. The problem for hospitals is choosing the right one: mass layoffs, refined management techniques or some middle ground. Wake Forest declined an interview request for this article. But it has said in other accounts that the roughly 6 percent staff cut is a pre-emptive measure for expected budget cuts and rising costs. And it expects remaining workers will become more productive as a result. That’s a delicate balance, said Mark Graban, a national expert and consultant on health care management who lives in San Antonio, Texas. He said layoffs are sweeping the industry. Graban referred to a report from the American Hospital Association that says hospitals will cut 93,000 jobs during 2013. Wake Forest and other major hospitals across the nation pledge that nurse-to-patient ratios won’t change despite the job cuts. Graban said that simple pledge may only mask lingering problems that hurt the quality of patient care. Nurses and other professional staff, for example, see the headlines, see friends who may be laid off and work in fear, he said. Across the nation, he said, many medical centers are choosing “no layoff” policies and using management techniques pioneered in industry. “Lean management” is a term many industries use for a variety of techniques that train workers to improve performance, make fewer mistakes and work with higher morale, he said. Graban worked with one hospital, ThedaCare in Appleton, Wis., which typifies the technique. The medium-size hospital manages conservatively, he said, doesn’t over-hire workers and saves cash for slow times. Don Dalton, the spokesman for the N.C. Hospital Association, said hospitals throughout the state are using lean-management techniques — especially the smallest hospitals. The coming changes could cost North Carolina’s hospitals up to $7.5 billion over the next 10 years , Dalton said. With limited resources, the state’s small and medium-size hospitals feel financial pressure first, he said. So they are looking for any way they can to operate without compromising service. Hospitals are combining resources to save money. In some cases, that means nothing more than “group buying” of supplies and services — lower prices for bulk buyers. On a larger scale, Greensboro’s Cone Health signed a managing partnership earlier this year with Carolinas Health Systems in Charlotte. When asked to discuss issues facing the hospital industry in general, Allred said: “We are going to decline” an interview. Jeffrey Miller, the president of High Point Regional Health System , freely discusses what led to the hospital’s planned merger with UNC Health Care. He said that many unemployed people in the Triad don’t have health insurance, and those who do find that rising deductibles are too expensive. “So we have a bad-debt problem,” Miller said. Federal Medicare reimbursements have declined or remained flat, and the program is asking hospitals to fill out more documents to justify expenses. And finally, the state, which administers Medicaid programs, is cutting its own stretched budget and program reimbursements. As a result, High Point Regional has operated at a loss for two years. With its 2,212 workers, the hospital lost $40.8 million on unreimbursed care last year. “It’s coming at us from all directions,” Miller said. Through careful expense control, Miller said, High Point has not laid off workers, but it has had to cut hours from time to time to save money — and jobs. Saving money, changing the way a hospital works, changing the way hospitals work together — all are key issues for UNC Health Care and its subsidiaries, said Karen McCall, vice president of public affairs and marketing for the system. “We need to reduce costs, and all of us are aware of that and we’re trying to take steps to be able to do that through re-engineering,” she said. Lean management is a big part of how UNC has managed its hospitals. UNC is planning for a difficult future, especially the unknown effects of more insured people and a growing population of older people who will need more care. UNC plans to create a system in which each patient has a “medical home,” or a central doctor and staff that can manage the patient’s total care. That doctor would coordinate care from specialists and a variety of other services. But getting there, McCall said, means spending more money to upgrade technology. Finally, UNC is constantly keeping an eye on its employees to make sure their morale is good. “Having worked very, very hard with patient satisfaction, the key to patient satisfaction is employee satisfaction,” she said. “Employee satisfaction is just very important and it’s something we measure and take into consideration all the time.